COVINGTON—A sentencing hearing has been set for July 27 for Bobby Isidore, 21, of Slidell, who was convicted last week of second degree murder. Isidore’s conviction carries a mandatory life sentence. 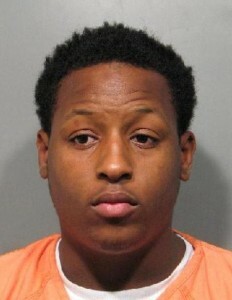 A St. Tammany Parish jury deliberated about 1 ½ hours on Thursday (July 9) before finding Isidore guilty for his role in the murder of 22-year-old Leighton Powe Jr., who thought he was meeting a group of men behind a store in Slidell on Sept. 7, 2013, to sell marijuana. Instead, Isidore and some of his associates—Felix Adams, Jr., then 20; Trenton Johnson, then 19; and KiShion Griffin, then 17—planned to rob Powe of the drugs and cash. Moments after Powe climbed into the passenger seat of a truck with the men, Isidore, seated behind him in the extended cab, grabbed him from behind. The men struggled, and when Powe recognized Isidore as a classmate from Slidell High School, Adams shot Powe in the head. The men then drove to Javery Road, just beyond the Slidell City limits, and dumped Powe’s body in a ditch, where it was found later the same day. Adams set the truck on fire, and Johnson, the owner of the truck and driver, reported it as stolen. The Slidell Police Department’s investigation led to Adams, who was arrested the next day. Within a week, Slidell police had nabbed all of the men. Johnson pled guilty last December to manslaughter and received a 25-year sentence in exchange for testifying against the others. Adams was sentenced in April to life in prison plus 20 years for his convictions on second degree murder and obstruction of justice. Griffin is scheduled to go to trial in September. A fifth man, Darion Causey, was involved in the cover-up and is scheduled to go to trial later this year for obstruction of justice. During his four-day trial last week before District Judge Allison Penzato, Isidore admitted his role in the robbery plot, but he said he was surprised when Adams shot Powe point-blank in the head. Isidore’s attorneys compared his involvement in the crime to that of driver Trenton Johnson and asked the jury to return with the same manslaughter conviction. The jury ultimately rejected Isidore’s version of events and handed Assistant District Attorney Julie Knight another second degree murder conviction in the case. Knight was assisted by Assistant District Attorney Becky Jo Hollen.